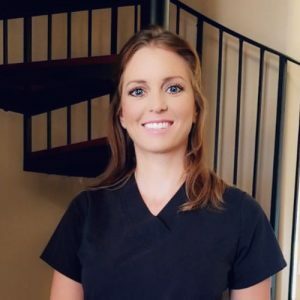 Originally from New York and raised in the Sunshine State, Stephanie was inspired to become involved in the dental field by her mother, also a dental assistant. Stephanie received her expanded functions certificate as a graduate of the Robert Morgan Vocational Technical Institute in Miami, Florida. 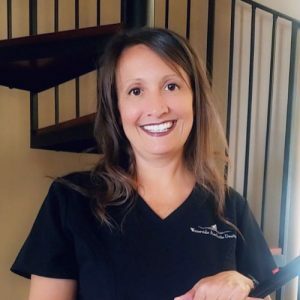 With years of experience and comprehensive knowledge of all phases of dentistry, she uses her skills in both clinical as well as administrative duties. 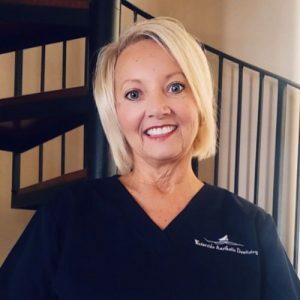 Her hands-on experience enables her to thoroughly explain treatment options to patient and help them to utilize the most advantageous dental solution surrounding their dental needs. Stephanie says she loves working with the patients and finds personal fulfillment in serving others. Our patients adore her delightful personality and her thoughtful approach to their overall dental care. Pam found her calling in the dental field just “filling in for a friend.” She realized that it was exactly the position she wanted to explore and learn everything she could. Pam attended CoD college of Dupage, IL for for her assistant certification. Pam worked in Schaumburg, IL in the dental field for 25 years. 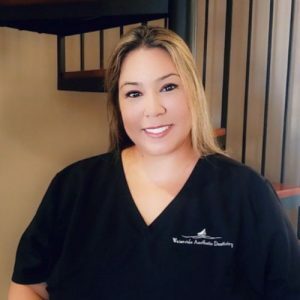 She moved back home to Southwest Florida and received her expanded functions & radiology certificates from Nova Dental School in Fort Lauderdale, Florida. Pam says her job is her passion and and she is blessed to be working in an office with such a caring and compassionate doctor and team. Having worked in different branches of the medical profession, when Gaby entered the dental field, she found her true calling. A dental assistant since 2012, she is professionally trained in the latest technologies in patient care. She received her training and expanded functions certification at Dental Assisting Training School (DATS) in Fort Myers. She remains focused on providing patients with the highest level of skill and comfort. She is also skilled in the administrative functions of the practice. 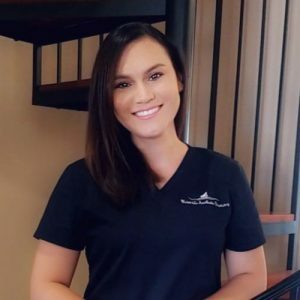 Her dental assisting expertise and joyful manner helps to put our patients at ease and allows them to experience their dental care in a relaxing and proficient environment. Gaby says she takes pleasure in the care and dental rehabilitation of patients and seeing them smile. Dentistry is my passion, and I am fortunate enough to work at an amazing office where we all genuinely care about our patients. I enjoy taking continuing education classes so I can provide the most up to date information and techniques in dental hygiene care. My goal is to help all of my patients achieve a healthy beautiful smile while making every visit a comfortable one! © 2019 Waterside Aesthetic Dentistry. All rights reserved. Feel free to contact us, and our staff will respond as soon as possible. I consent to Waterside Aesthetic Dentistry collecting my details through this form.